The right mortgage professional can get you pre-approved for your next Silicon Valley property. Contact Boyenga Team. When you are ready to get the ball rolling, we would love to help. This feature can be used to figure out monthly payments of a Silicon Valley home mortgage loan. 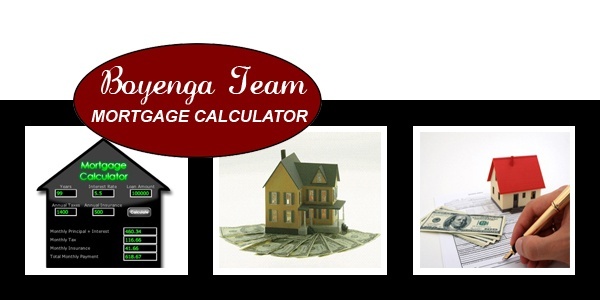 Use the calculator based on the home's sale price, the term of the loan desired, buyer's down payment percentage, and the loan's interest rate. This calculator factors in PMI (Private Mortgage Insurance) for loans where less than 20% is put as a down payment. Also taken into consideration are the town property taxes, and their effect on the total monthly mortgage payment.